Party supplies & rental is our specialty. Rent Party, Wedding, Trade Show, Expos and Convention Equipment from our extensive event inventory. Whether it’s a wedding reception, anniversary party, or any special event, our large selection of Anchorage party rental supplies means we’ve got you covered. Let us help you host the perfect event. 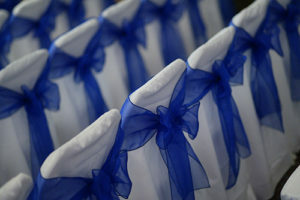 Anchorage Party Rental Supplies: chair sashes, tables, chairs, linens, and chair covers, just to name a few of our extensive party supply inventory. 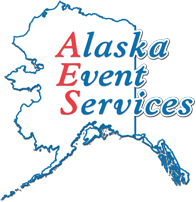 Alaska Event Services is ready for any Alaska-based Parties, Weddings, Trade Show Exhibits, Expos, Conferences, Meetings, Conventions and more!! on customizing your special event today.